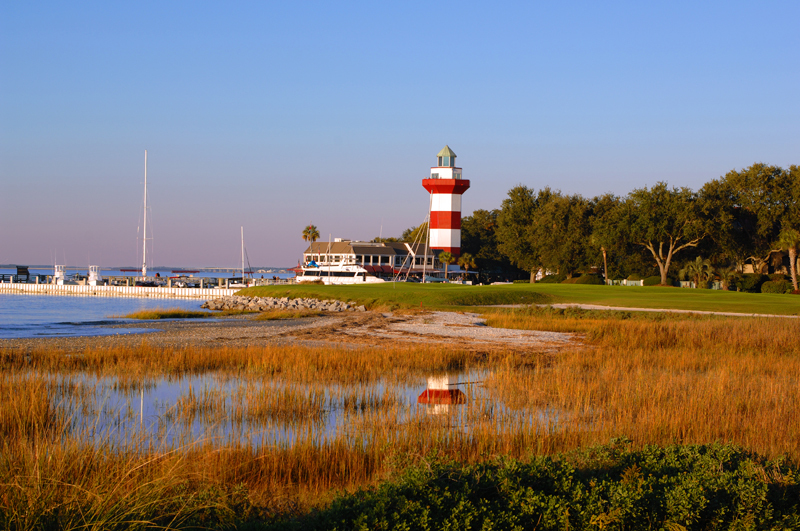 Hilton Head, S.C. — Sea Pines Resort announced golf course architect Pete Dye completed some minor renovations to Sea Pines’ Harbour Town Golf Links, which annually plays host to the PGA Tour’s RBC Heritage. Harbour Town’s layout was lengthened by 150 yards, a handful of trees were removed to improve sightlines and a select number of bunkers were reshaped or extended to bring hazards back into play. Dye was thrilled to make a return trip to Sea Pines. “Harbor Town made my career,” Dye says. Forty years ago Harbour Town opened to much fanfare and hosted a nascent PGA Tour tournament — the Heritage Classic. Arnold Palmer staged one of his patented final round charges for the inaugural victory and the Lowcountry resort development became an instant must-visit destination. Earlier this year, Dye did an evaluation of Harbour Town and mapped out a series of enhancements to ensure the layout would retain its lofty status and continued critical acclaim for years to come. To complement Harbour Town’s makeover, Sea Pines also recently tapped Dye to create Heron Point golf course on the site once occupied by the Sea Marsh course. Rather than simply renovate Sea Marsh, Sea Pines gave Dye free rein to design an entirely new layout using the existing routing. The outcome was another timeless Dye-creation that has been lauded in national and regional golf publications including recognition as a “Top 50 Course for Women” by Golf Digest. Sea Pines also boasts the Ocean Course – the island’s first and a George Cobb/Mark McCumber design with an emphasis on traditional principles of course architecture. The resort’s best-in-class collection of golf courses, amenities, meeting facilities and accommodations makes Sea Pines one of the most sought-after leisure and group destinations in America.